Adam Bermingham is Traditional Painter’s specialist kitchen painter in Belfast. For years he has been saving his clients literally tens of thousands each on the cost of a new kitchen! How? By transforming older oak and pine kitchen cabinets with a durable and beautiful hand-painted finish. His professional approach provides a brand new look, without upheaval and dust and mess. And to further reduce the imposition of refurbishment work on his clients, Adam has a purpose equipped workshop where he works on the doors and removable elements, keeping the bulk of the “dirty” work out of your home! and you aren’t sure whether to replace the doors, or you are wondering about painting or replacing the whole kitchen, or you want to have a go yourself, this article (and Adam Bermingham and Traditional Painter) is for you! For Adam, kitchen painting isn’t just another service to tack onto a Painter and Decorator business card. 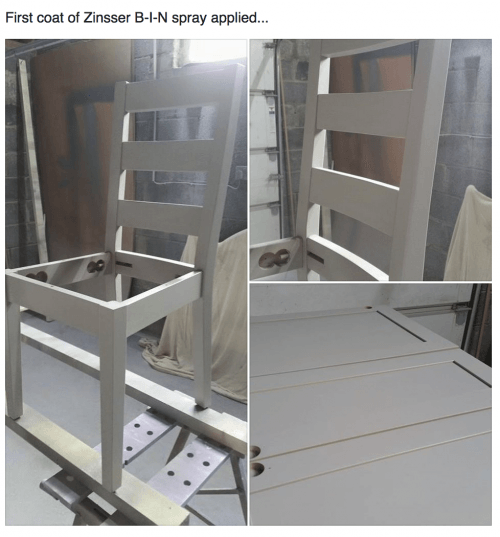 Adam is a specialist kitchen and furniture painter, it is what he does all day every day, and as part of Traditional Painter, he has been one of the leading innovators in this specialism in recent years. What further sets Adam and Traditional Painter apart from all other kitchen painters in Belfast and Ireland in fact, is a willingness to openly and extensively explain processes and share trade tips and tricks for the benefit of his clients, DIY and trade. The Traditional Painter website launched in 2009 has been the fore-runner for several years in explaining a proven approach to kitchen and furniture painting work. In regular online articles, Adam reveals all, so you can understand that he understands his craft; to demonstrate beyond doubt that he has encountered a kitchen just like yours, and already dealt many times over with any likely obstacles to a successful end result. He also posts daily updates to over 20,000 followers on social media, his mantra is No secrets here; no playing on his in-depth craft knowledge to bamboozle clients; no attempts to create an air of mystery about what is required to hand paint a kitchen to the very highest standards. You see his work at each stage. One thing is for sure, reading on, you will see that there is no need to just put up with your dated kitchen, or stomp up 5 figures to replace what already works with a similar kitchen in a different colour! You have good value options. below he outlines the sort of process you can expect. 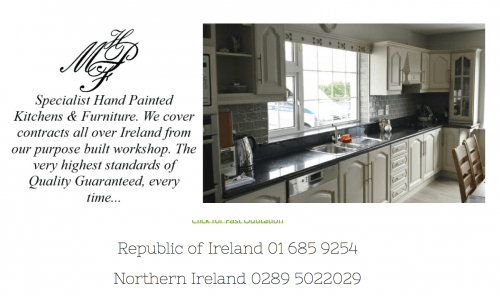 After reading, if you would like a fixed price upfront to paint your kitchen in Belfast, contact him direct. It is guaranteed to be a good investment. 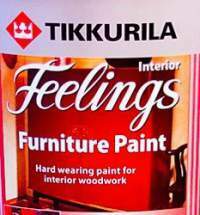 Hang on, why paint it all? Adam is often asked for alternatives to a full paint job, usually in an effort to keep the price down. Anything is possible, but there are mostly downsides and less value-for-money in it for clients when cutting corners. For instance, why not just replace the doors? Sure thing, but will you be happy to have new factory painted doors hung on an old carcass? It isn’t really an upgrade that can deliver you a “new kitchen”, it is more of a stop gap that draws attention to the old kitchen. Why not buy in pre-painted doors, get them hung and paint the frames to match? It can be done. But again, working out the costs, the faff, the unnecessary complication of mixing and matching factory sprayed doors to the frames, why go there? – Factory painted doors are sprayed, not hand painted. – The paint in the factory is almost certainly a spray-only product, so you would have to have the same paint and spray it in situ. Not a problem if the paint is a waterborne finish, and the factory lets you have their paint to ensure an exact match. No problem, except, that invariably this solution is a problem! – Wooden kitchen doors from budget to expensive will last many many years. – Hinges, runners and handles can be upgraded almost indefinitely. – Kitchen carcasses are pretty much indestructible except around a sink, should you get a leak. In that case, even high end carcasses will suffer. But even replacing one or two carcasses in a sink area is a different ball game to ripping out a whole kitchen. The point is, if your kitchen layout works for you, but you want to change its look completely, there is probably very little call or justification for wholesale joinery work and carpentry, and certainly there are alternatives to the upheaval of completely scrapping and re-fitting a new kitchen. How much does it cost for this level of refurbishment service? No secrets, Adam provides free quotes based around £100 a “door”. 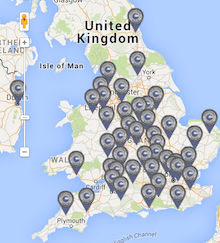 £100 reflects a lot of work, years of experience and craft smarts. Unfortunately, there is no escaping the degreasing stage of a kitchen repaint project. It is the nature of the beast, and no reflection on the kitchen cleaning regime over the past few years. Cooking produces grease, and paint has to go on a clean, sound and dry surface. Whatever anyone tells you, that requires thorough cleaning in a kitchen environment. The emphasis is on cleanliness throughout the process: no paint should stick where it isn’t wanted. Worktops are protected with either paper or plastic and the floors along the plinths and walls are masked and protected too. It takes time to prepare a kitchen for painting this way, but it means the kitchen is easy to keep clean and uncluttered, and usable after work hours. The quicker time-saving option you see of laying and dragging around dusty cotton dust sheets is not the way to go for efficient and impeccable workmanship. The basic premise behind painting is that the paint requires a key to adhere to the substrate. The first layer needs to hold really well, and sets the tone for the rest of the coatings on top. Where we have glossy surfaces, we prefer to use an abrasive like Abranet, coupled with a dust extraction sanding system to create a thoroughly clean and beautifully keyed surface. Sealer, primer, primer, sealer, all the same but different! The choice of primer is important. Topcoats must not sink into the basecoat, if they are to achieve their required sheen levels. On bare surfaces like MDF which are absorbent, the primer therefore needs to both satisfy the porosity of the wood and leave a solid non-porous surface for subsequent coats. A water based primer tends to struggle to achieve this. In another scenario, if there is a risk of resin from oak leaching through and staining the topcoat you need a stain blocker primer. Or if there is a big colour change it is best to tint the primer. And so on. Adam knows all the options. Once primed, you can see the imperfections that aren’t apparent when the wooden doors were natural. Open joints on panels are par for the course, and Adam deals with dings and dents with assorted fillers, that are sanded back smooth with dustless sanding machines. Adam can change handles, a popular request. Unless it is a like-for-like exchange, it is best to fill the existing hole(s) and leave a blank door to start again. The filler needs to be particularly strong in case it is re-drilled. The effect of a simple upgrade, plain to see. At every stage, the previous layer of paint has to be flawless. Any dust is cleaned off by vacuum and wiped over with a tack rag to remove the finest powder. Imagine if the powder weren’t removed, the top coat would not just be gritty to the touch, but likely it is also not gripping. Cleanliness again, is vital. The water borne finishes Adam uses are low odour and dry quickly. Once cured they are very durable. There is a choice of 2 sheens, a matt and a satin sheen. The ideal combination is a colour that suits your kitchen and your taste mixed in a paint that Adam knows is reliable and he can stand by. Adam is very big on customer service, and understands the stress that many homeowners feel when work is being done, especially on their precious kitchen. He doesn’t subscribe to the trend of tradesmen who don’t return calls, don’t keep clients informed of progress, generally don’t provide assurances that all work will be carried out in a timely manner, finished on schedule, and on budget. As a Traditional Painter for Belfast, Adam offers a service in line with what you would expect from a High St kitchen company, but with the personal touch, and definitely no managers managing managers, passing the buck. All this in depth knowledge is available at the end of the phone or email. When the time is right, contact Adam, your kitchen painter in Belfast and he will set you on the right track.